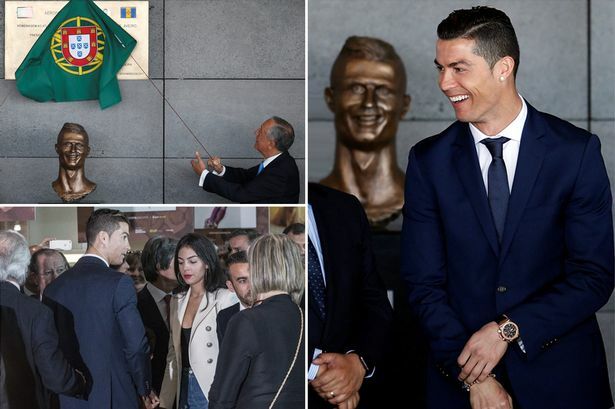 Pictures: Cristiano Ronaldo Attends Ceremony Alongside Girlfriend As Portugal Airport Is Named After Him. Cristiano Ronaldo was accompanied by his girlfriend as Madeira Airport was named after him. 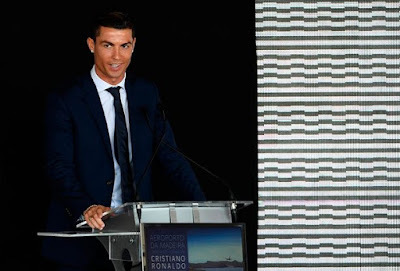 Ronaldo was born in Funchal, the capital of the Portuguese island, and has been honoured after becoming Portugal's most successful footballer. 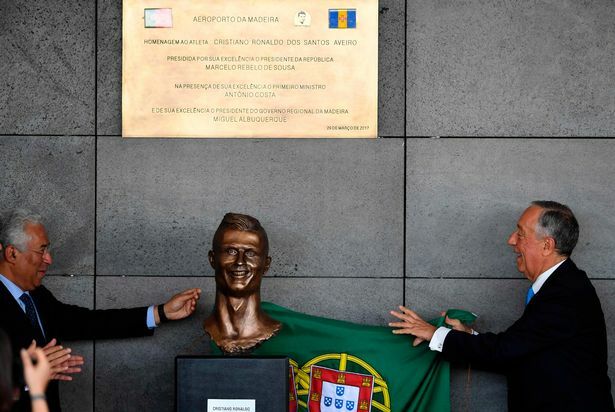 Politicians on the island decided to change the airport's name after Ronaldo's efforts in Portugal's Euro 2016 success - the country's first major international title. 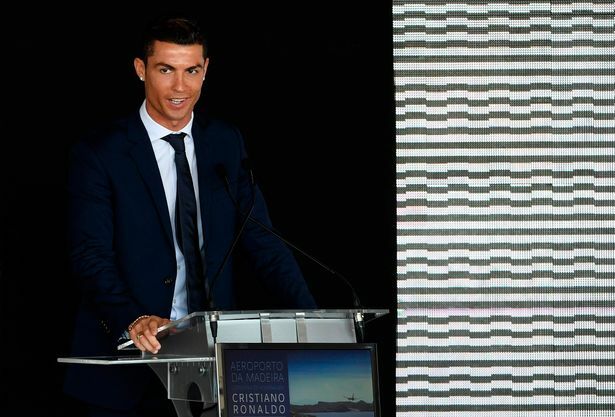 The Real Madrid star took the European Championship trophy to the island, where he is already immortalised, earlier this week. 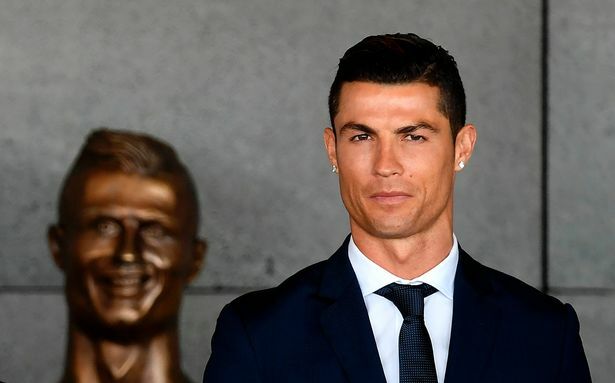 Funchal has a Ronaldo statue and museum, as well as the Pestana CR7 Funchal Hotel, a second of which has since been opened in Lisbon. He returned to the airport on Wednesday morning for the official renaming ceremony, where fans came out to get a glance of their hero. Some went a step further to ensure they were noticed by the former Manchester United man, with one fan holding a banner and another coming dressed as Batman, much to the amusement of those in attendance. Ronaldo scored the opener in the 3-2 friendly defeat to Sweden on Tuesday night, as he played an hour at the Estadio dos Barreiros in Funchal. His goal took him to 71 international goals, making him the joint third-highest European international goalscorer of all time.